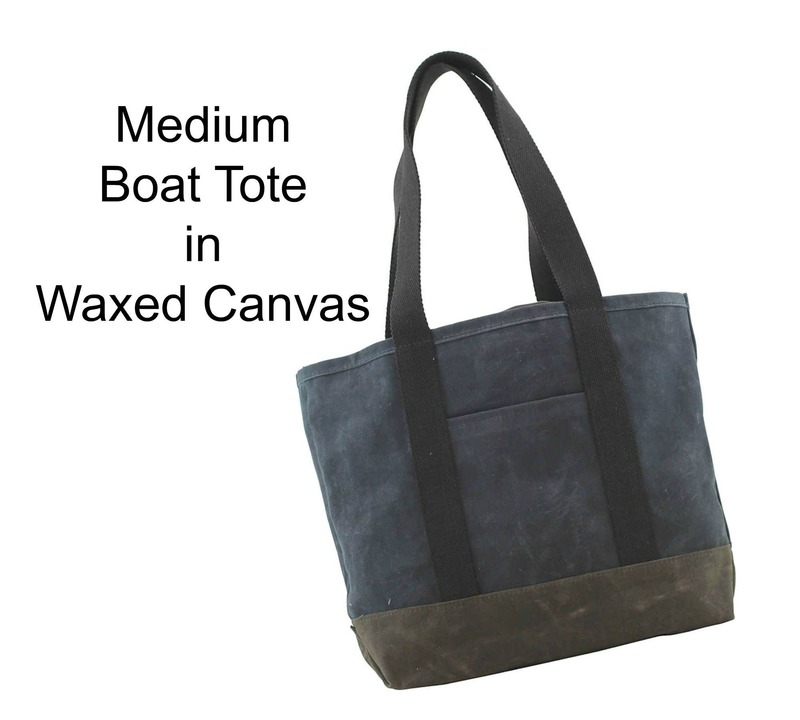 Our new Medium Boat Tote is sure to be your new everyday go-to accessory. 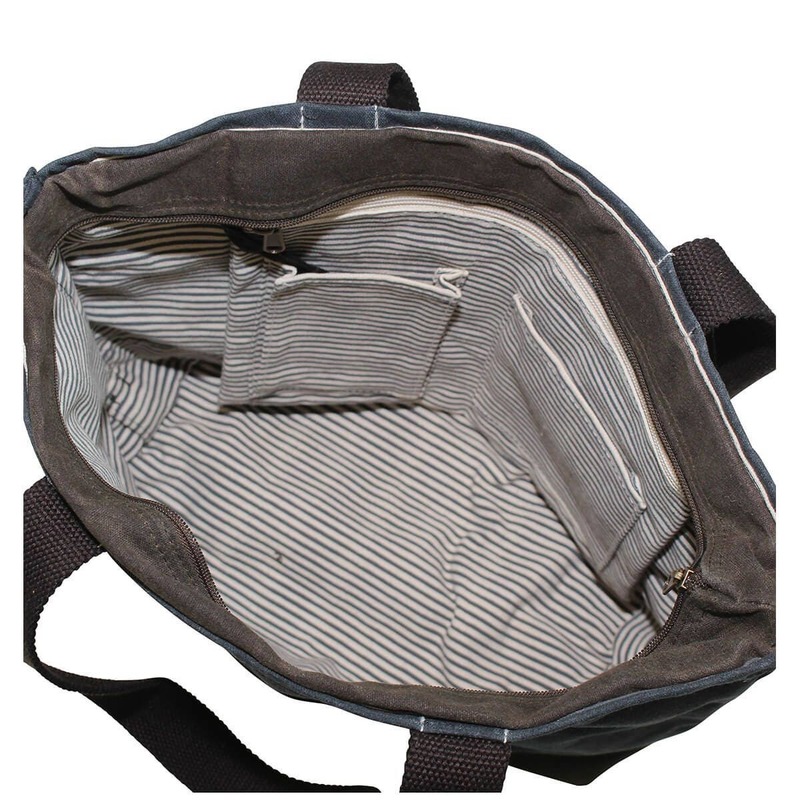 This new bag is constructed entirely of Waxed Canvas, featuring a gray stripes canvas inner lining, one outer pocket and a convenient inside organizer pocket with a spacious zip compartment and two outer pockets perfect for small accesories. 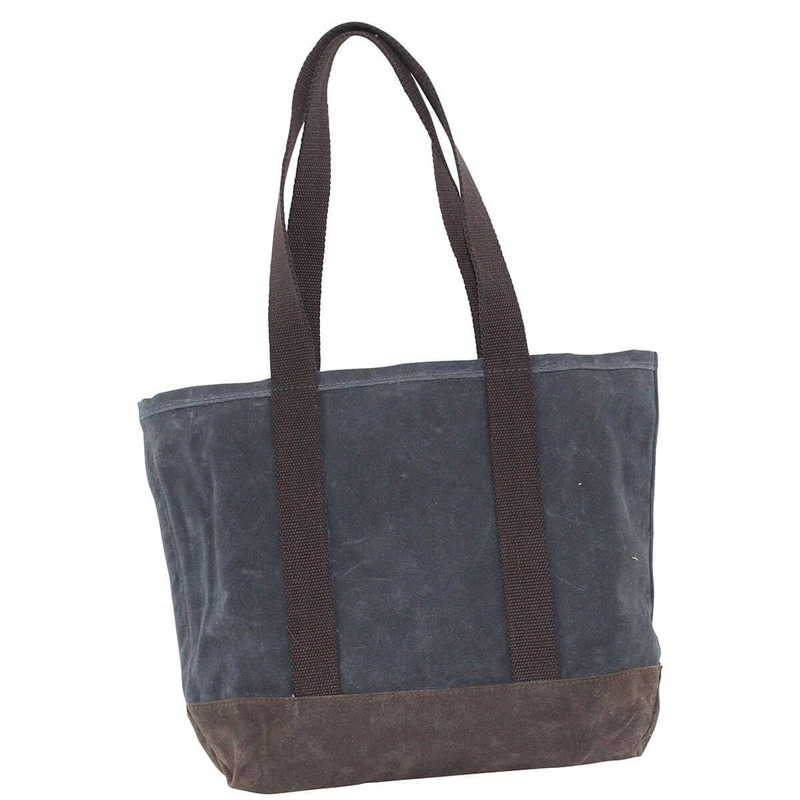 A long cotton web handle allows the bag to be carried easily by hand or over the shoulder. 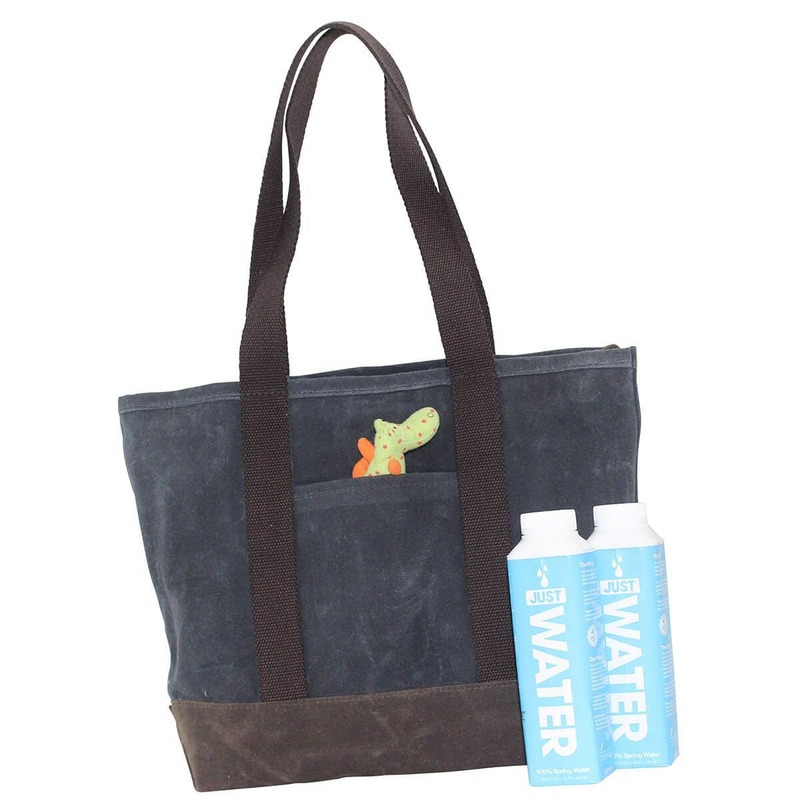 --Thick cotton web handles with a 14 inch handle drop. 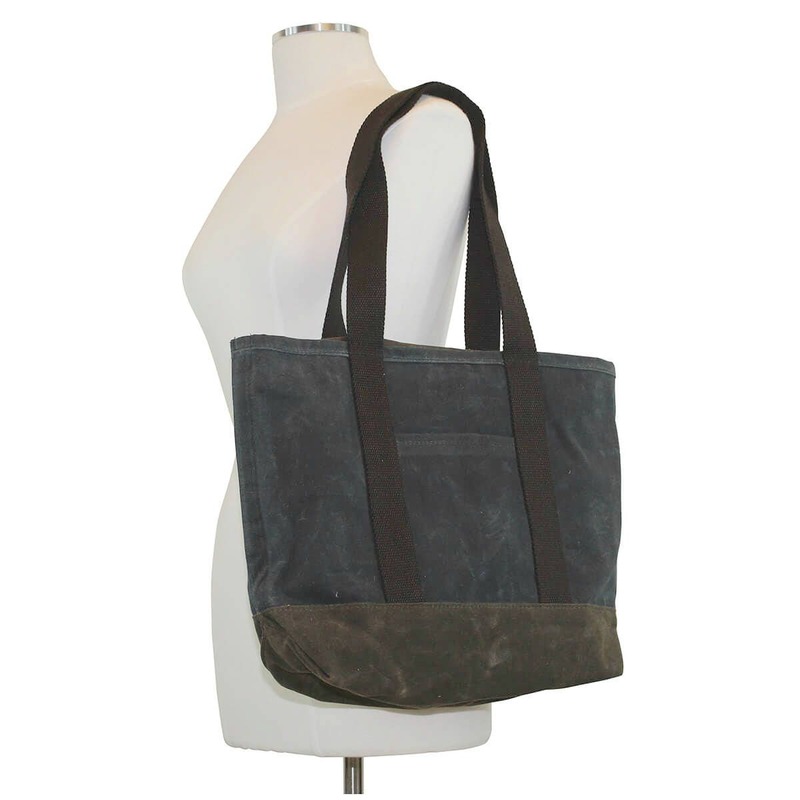 --Constructed of 18 oz Waxed Canvas.